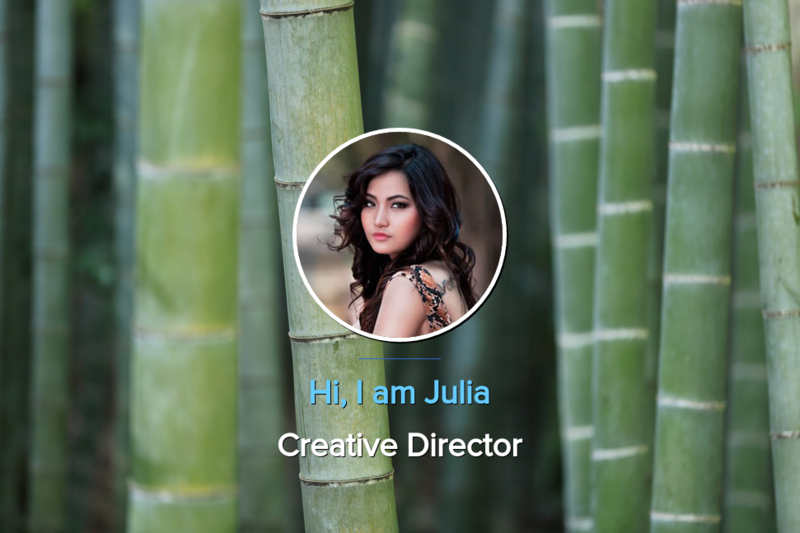 Easy Profile is one-page Bootstrap layout. Fade in-out background images. Blue, green, orange, and gray color themes are included. Created by Templatemo. 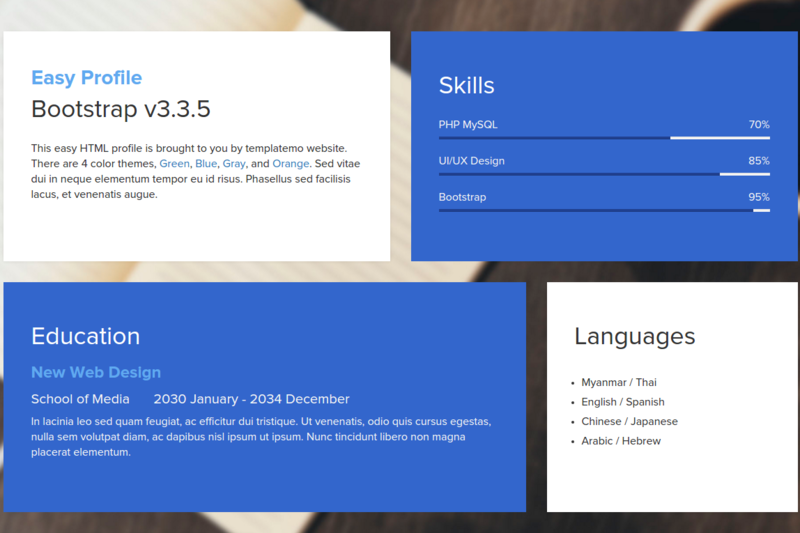 Easy Profile is one-page Bootstrap layout. Blue, green, orange, and gray color themes are included. Replace <theme> with the name of your theme. Where <name> is whatever you specified in theme:install. You can customize a few parameters for the template. 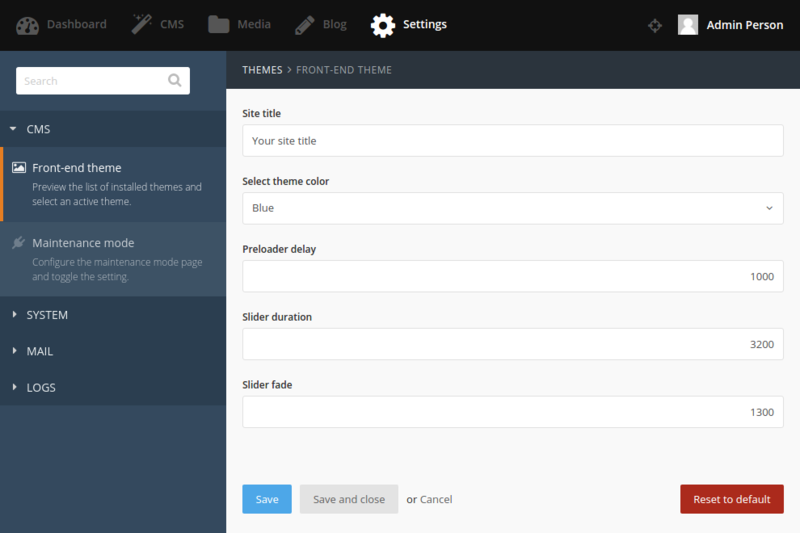 Simply goto CMS > Front-end theme > Easy Profile > Customize on your backend and choose your preferred settings. Initial release of Easy Profile theme.